A Taste of History with Joyce White: Shrewsbury Cakes: The Best Way to Use Caraway! 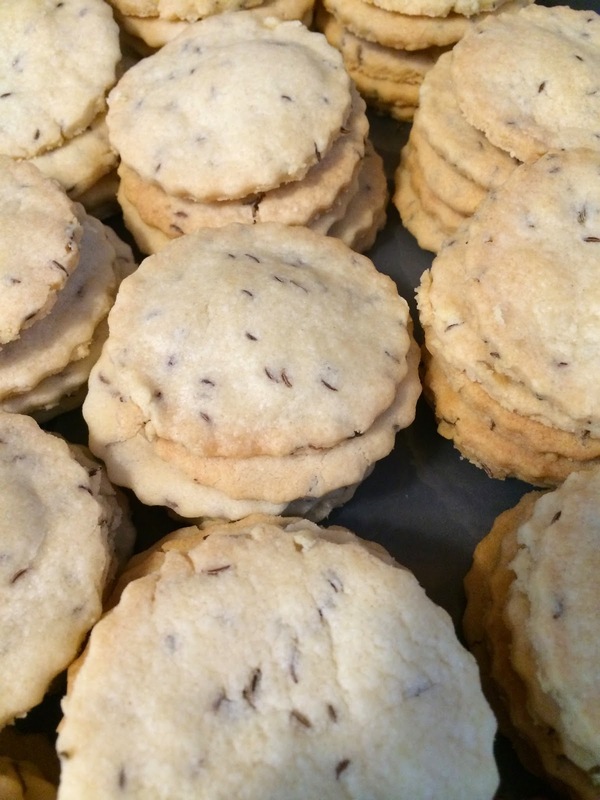 Shrewsbury Cakes are actually just round, crisp, brittle, and buttery shortbread biscuits or cookies. The earliest recorded Shrewsbury Cake recipe goes back to 1621 (Murrell) and was flavored with nutmeg and rosewater. [i] However, reference to them predates that recipe as you will soon read. There are several other literary references to Shrewsbury Cakes, and recipes for them can be found in numerous cook books from England and America in cookbooks in the 18th and 19th centuries. The recipe I have chosen comes from a 19th century manuscript from Baltimore held at The Maryland Historical Society. I like this recipe because the cakes are flavored with caraway seeds. I’ll be honest, I am not a fan of caraway seeds in savory foods such as rye bread or sauerkraut; however, they work really well in a sweet application such as these cakes. Try this recipe and be amazed! half a pound of butter beaten to a cream,¾ lb. of flour, ½ lb. of sifted sugar, 1 egg, ½ oz. caraway seed rolled into a thin paste, cut in rounds and baked in a slow oven. Cream together the butter and sugar. Then, add the egg and beat. Add the caraway seeds to the flour. Add the flour mixture to the butter/sugar mixture and mix until everything comes together in a ball. Wrap the dough in plastic wrap and refrigerate for at least one hour. Remove from the refrigerator and let come to room temperature. Roll out the dough to about ¼” thickness; add enough flour to the board that you can work some into the dough if it is not firm enough to roll out. Cut the dough out in 2.5 inch circles and place on parchment-lined cookie sheet. Bake until they just start to turn slightly golden around the edges, about 11-12 minutes. Remove from oven and slide the parchment with the cookies onto a counter to cool. [i] Alan Davisdon, The Penguin Companion to Food, 2002. Northern Hospitality: Cooking by the Book in New England by Keith Stavely and Kathleen Fitzgerald, 2011.